Culinary trends are always changing, and Trending Bites takes a look at what's dominating the scene right now. 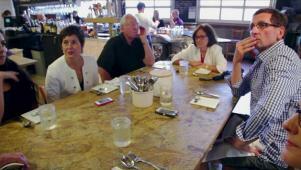 Host Mo Rocca will give us an inside look at the chefs and businesses that are revolutionizing the food industry. 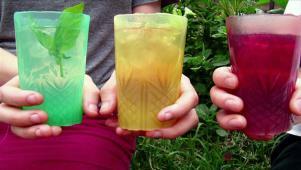 The science lab comes into the kitchen with Wikipearl edible food wrappers. 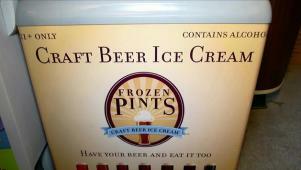 Frozen Pints craft beer ice cream makes dessert even more delicious. 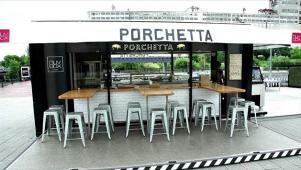 Forget food trucks: Just the Cook delivers a tasty dinner on the high seas. 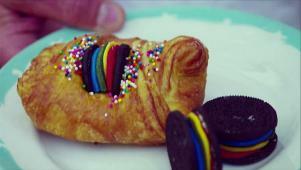 Meet Toronto's newest invention, the crookie: an Oreo-filled croissant. 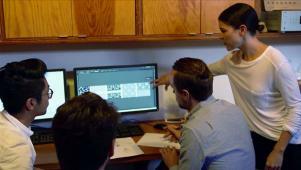 Chefs are involved in each part of Travail's interactive dining experience. Montreal is home to the latest in mobile eats: MUVBOX shipping containers. 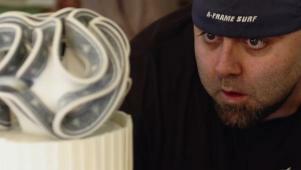 Duff Goldman orders an intricate edible cake topper made by a 3-D printer. 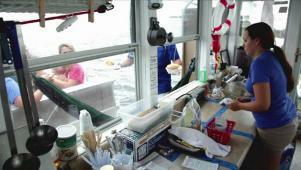 The food boat's signature dish makes burgers better by adding doughnuts.